You need to keep your scissors at a close distance. Oh yes, you do! 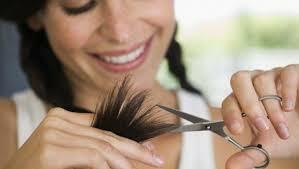 Go for a hair trim regularly to get rid of the those split and damaged ends. You need to chop off those damaged ends and with them, the myth of not cutting your hair to grow it faster as well. 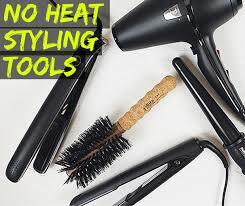 If you want long hair, you have to say goodbye to your beloved styling tools. Though hair styling can really give you amazing and beautiful hair temporarily, but it will eventually make it extremely dry and damaged. Dry and damaged hair not only looks lifeless and limp but also does not grow easily. Tip: If you have to style your hair, you must use a hair protection spray to avoid major damage. ALWAYS. Oil is the best conditioner available in the world. Oils can transform your dry and limpy hair to bouncy and shiny hair in just a couple of uses. 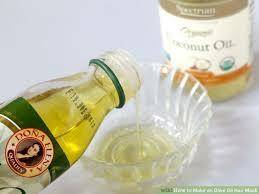 For long hair that is also healthy, you must do an oil hair mask at least once a week. 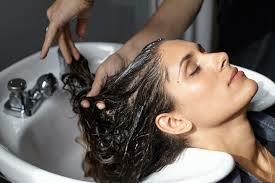 Regular hair massage will nourish your hair and stimulate your scalp which will promote healthy hair growth. Coconut oil and olive oil are two amazing options for maintaining hair health. You don’t have to shampoo each time you have a bath. The more often you shampoo, the more natural oils you strip off your scalp. If you want long hair, then be wise in judging as to when do you need to shampoo *for reals* and not be overtly obsessed with it. 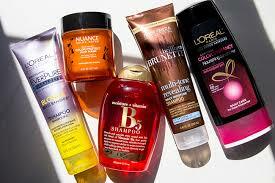 If you are not a massive fan of hair oiling or you prefer to do it occasionally, you must not skip on a conditioner. A conditioner will not only boost the moisture and life in your hair but it also tends to untangle it and makes it a million times more manageable. Healthy hair leads to long hair, always remember this! You may be exhausted and drained out of all energy but never go to bed without brushing your hair. This may be a tedious task for some but it the most rewarding over time. Brushing the hair each night will take care of the knots and kinks in the hair. This will prevent all kinds of breakage as well as effort in the morning. 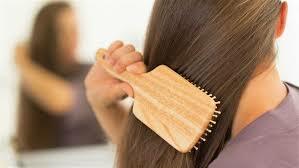 A wooden brush or comb is the best option for combing through the hair as they tend to massage the scalp to improve circulation, redistribute the hair oil along the lengths and there is less breakage with a wooden brush. No beauty sleep is worth hair fall, ladies! This is for those who have extremely sensitive hair. Invest in a silk pillow case for minimum damage to your hair. 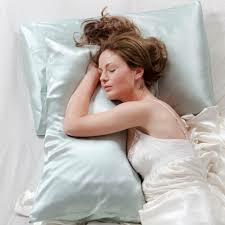 The silk pillow cases are a great way to protect your hair from friction and split ends. A bonus is that a silk pillowcase is very beneficial for the face. Who knew long hair and comfort would be such buddies! What you eat directly affects your hair and skin. Nutritional deficiency can make your hair brittle and promote hair loss. Protein, iron, omega-3, vitamin-a,c and e, zinc and biotin are absolutely essential for your hair. You can get these from foods like spinach, lentils, broccoli, blueberries, salmon, sardines, eggs, wholegrain and the list goes on. 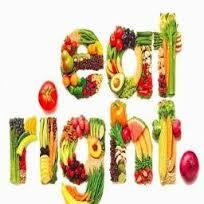 Once you start eating right, you will see a change in your hair growth and texture. Also, this will greatly benefit your skin. Try and make these tiny little changes in your lifestyle and be assured to not only have long hair but also an amazing skin. So go ahead and get your healthy long hair like Rapunzel already! This entry was posted in Beauty & Lifestyle, Diet and Nutrition, Skin and Hair Care and tagged DIY, hair growth, Long hair, Rapunzel Love.